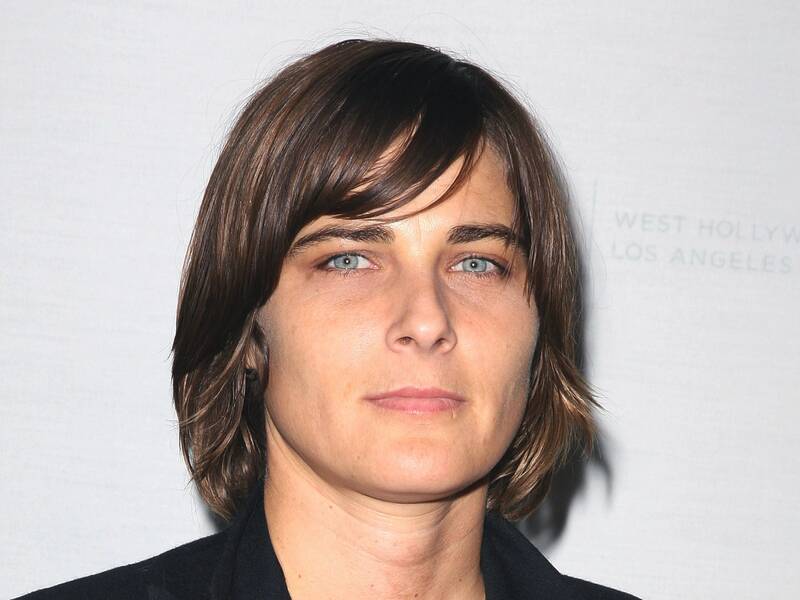 Daniela Sea played transgender character Max on the original L Word. When it debuted in 2004, The L Word was a lot of things: groundbreaking, provocative, a little bit campy. One of the first shows ever to focus on the lives of queer women, the Los Angeles–set Showtime series was a minor hit, running for six drama-filled, cable-ready seasons. It was also, in hindsight, problematic. Though not as lacking in diversity as other shows, its cast was still predominantly well-off and white. It relied on tropes as often as it tried to escape them. Needless to say, as news has spread that a new run of The L Word is imminent, former fans of the show are experiencing feelings ranging from anxious to tentatively excited. As a trans man, I’m worried. Worried about one character in particular: Max. Max Sweeney, played by Daniela Sea, made his first appearance in Season 3 as Moira, the former flame of series regular—and character routinely voted Least Likable—Jenny Schecter. After the pair reconnects in their hometown, Max returns to LA with Jenny, and following a brief questioning period, begins transitioning from female to male—and that’s where the problems begin. Max, as one of the first trans men on TV, had a lot on his shoulders. He had to represent the struggles trans men face, but he also had to do it with limited time in a series of one-hour(ish) episodes. Unfortunately for Max, this meant he embodied nearly every horrible trope about trans men possible. He buys black market testosterone and becomes aggressive almost immediately; his sexuality flips like a light switch as his attraction to women is replaced with an attraction to men; he grows a beard overnight. In 2019, these storylines would appear flat, one-dimensional. In 2006, when Max was first introduced, they took the opportunity to present audiences with a genuine trans character and turned it into a series of stereotypes. But even more than his characterization onscreen, Max’s biggest shortcoming was that he was played not by a trans man but by a cis woman. Today, trans actors play trans characters in all manner of programming, from Laverne Cox on Orange Is the New Black to the majority of the cast of Pose, but as Max transitioned on The L Word his appearance—basically Sea with a fake beard pasted on—became almost comical, making it hard to take him seriously as a character, and as a man. “Max in 2006 was a really good example of cis people telling a trans narrative with no trans people involved, point blank,” says transgender filmmaker Rhys Ernst, adding that he was both grateful for, and frustrated by, the character’s storyline. Now, as Showtime embarks on a new L Word, there’s an opportunity for the show to redeem itself from its past mistakes. The new series, which the network promises will have “a new generation of self-possessed LGBTQIA characters,” can have trans characters played by trans people. It’s a chance The Danish Woman, Transparent, and Boys Don’t Cry won’t ever get, and it’s the kind of thing that could prove instructive the next time Scarlett Johansson considers playing a trans man. There are so many great examples of nuanced trans characters on television right now, but only a handful of those are transmasculine. The majority of Americans say they’ve never met a trans person (or at least didn’t realize they had). And when cis actors take on trans roles, it plays into a narrative that trans people are just “dressing up” as a different gender than the one they were assigned at birth, which is why positive representation is so essential. There’s no word one way or the other on whether Max will even be included in the reboot. But with the benefit of 10 years of hindsight and an understanding that 10 years of testosterone can drastically change someone’s appearance, The L Word could bring back Max not with Daniela Sea, but with an actual trans male actor. A lot can, and has, happened in the 15 years since The L Word debuted. Not only is there more awareness of trans issues, there’s more room in the show’s storyline for those stories. By now, Max could have a 10-year-old child, opening up lots of plot possibilities beyond the struggles that come with his gender. Even if Max doesn’t return, with a new generation, The L Word could introduce more, and more nuanced, trans characters, a process that could bring more trans writers and actors. I hope they do. Messenger lets you unsend now. Why don’t all apps?